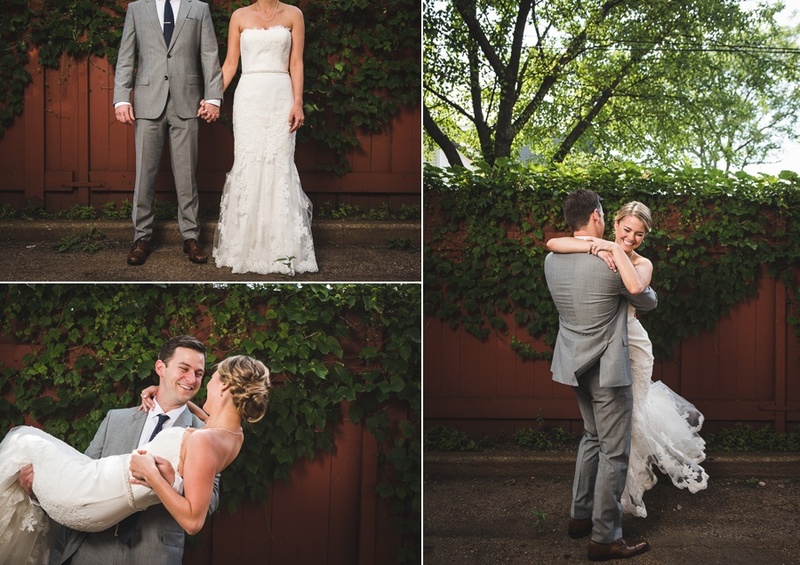 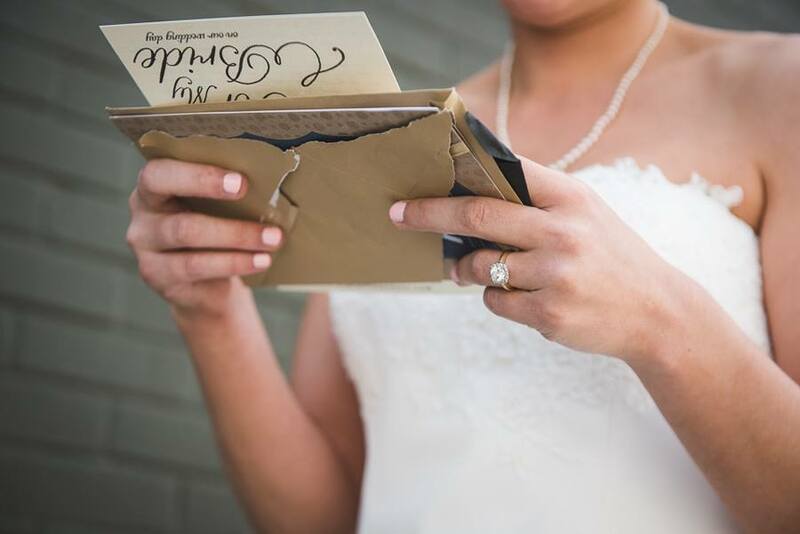 When we met Amy + John last summer, we knew we were going to love working with them. 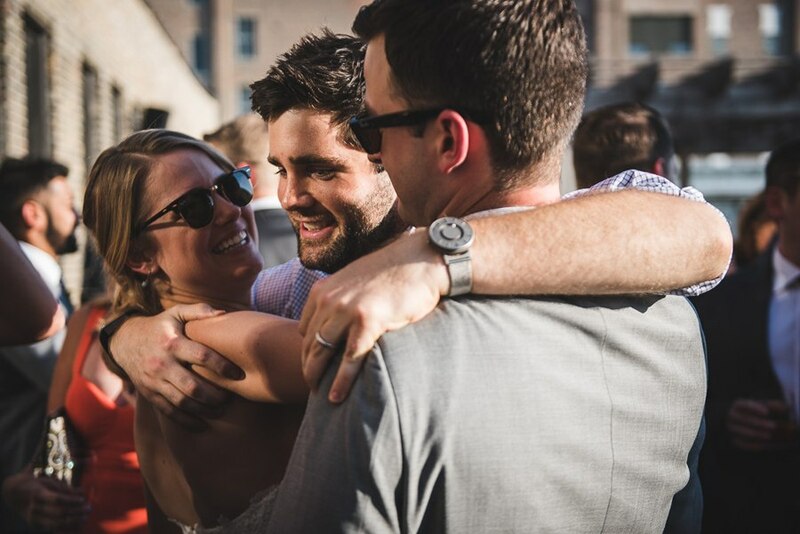 I mean… look at those photos… you can tell they are having a blast and loving every minute! 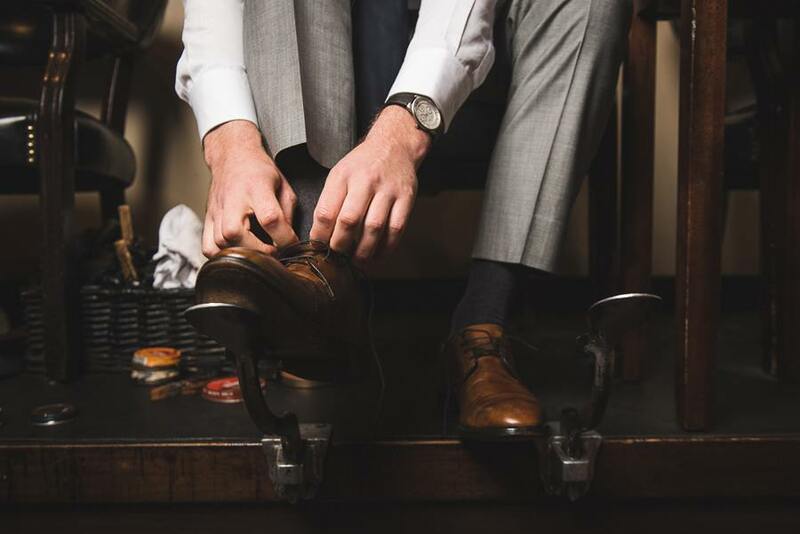 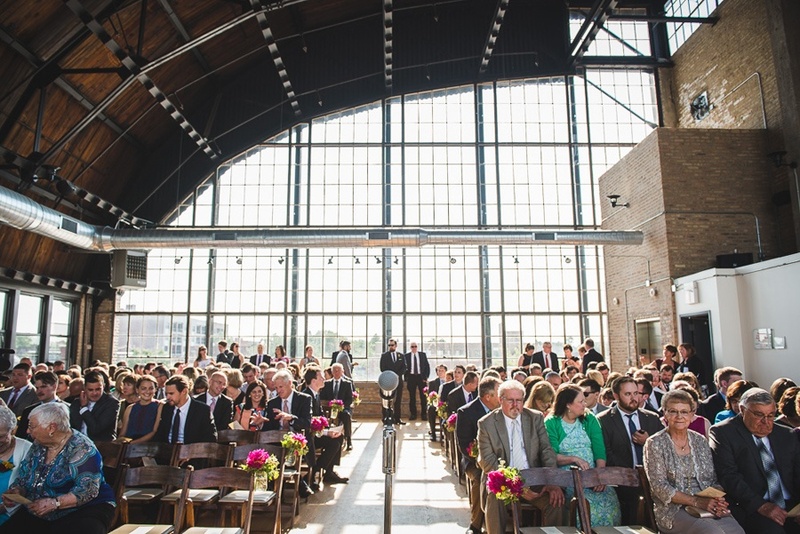 That, plus, getting to work in one of our fave venues with some awesome vendors – we’re in! 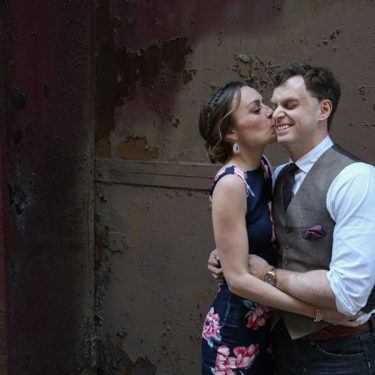 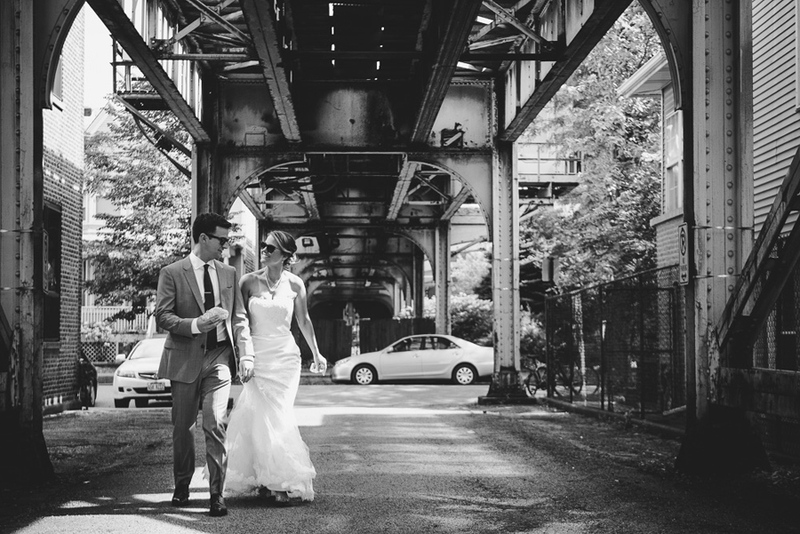 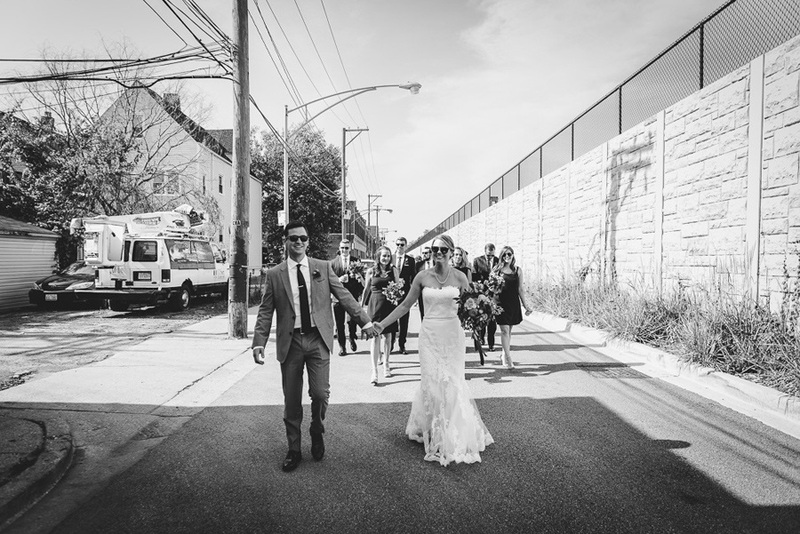 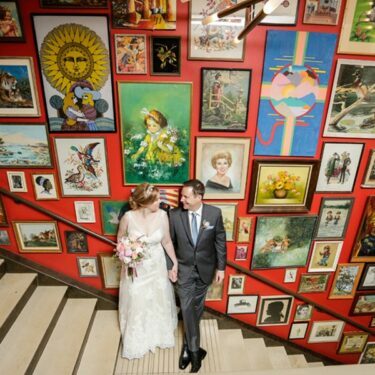 Amy + John’s first apartment was right by the Ravenswood Event Center, so after getting ready, they started the day with first look in their old hood. 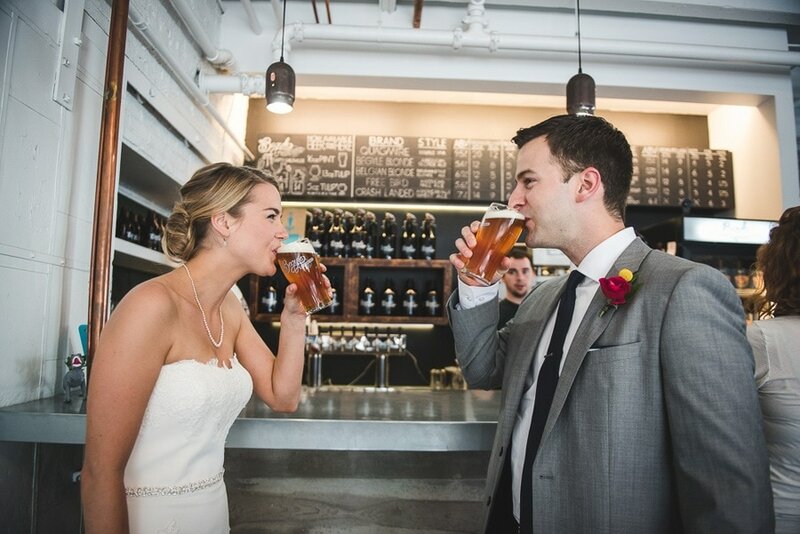 We love the photos under the “L” and at their favorite brewery, Begyle Brewing Company. 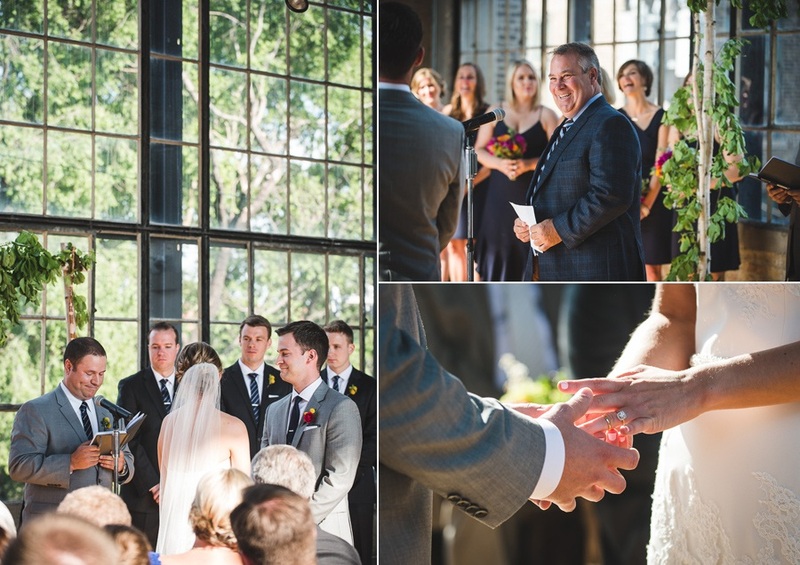 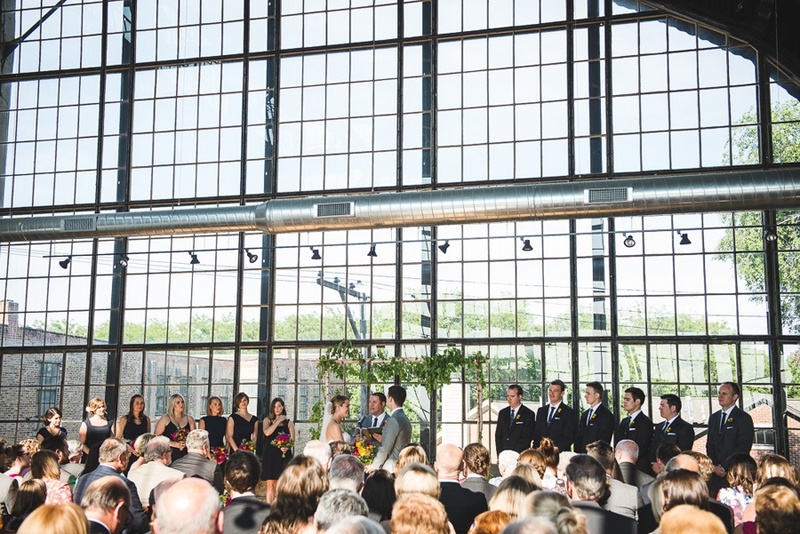 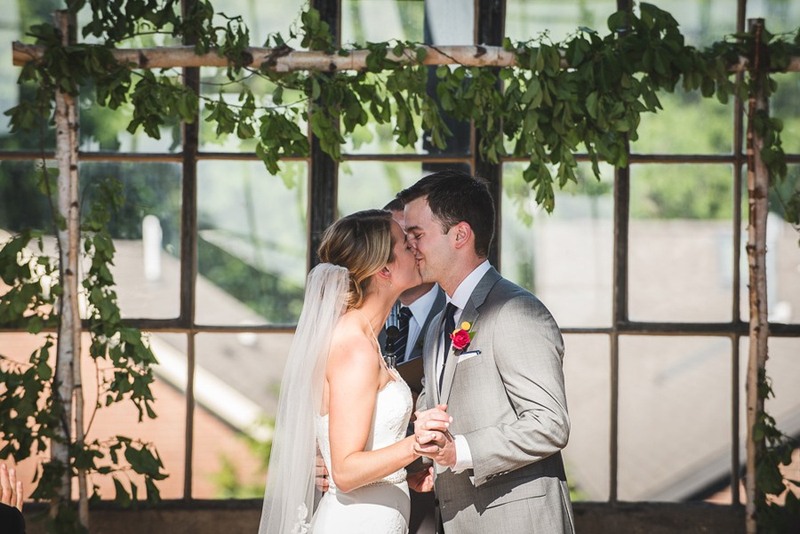 Amy + John’s ceremony was stunning under the huge windows of the Ravenswood Event Center and complete with flowers and an arch covered in lush greens from our friends at Pollen. 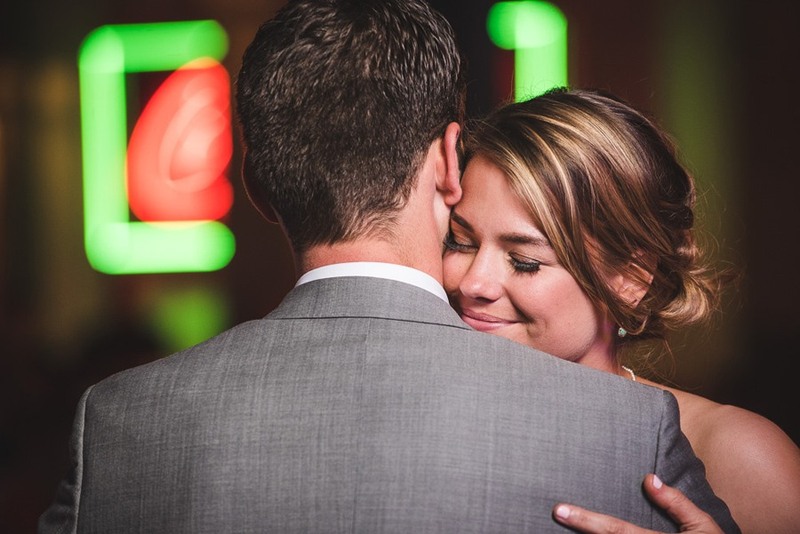 After the ceremony, guests headed downstairs for cocktails, dinner and some serious dancing! 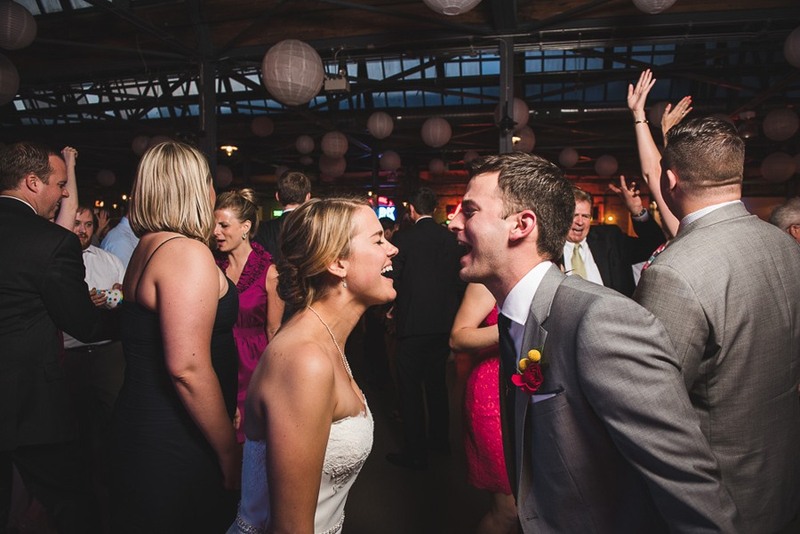 It was Amy’s birthday, so John and One Night Band surprised her with a special tribute. 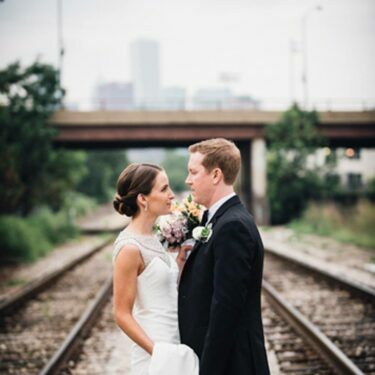 It was definitely the best birthday ever!